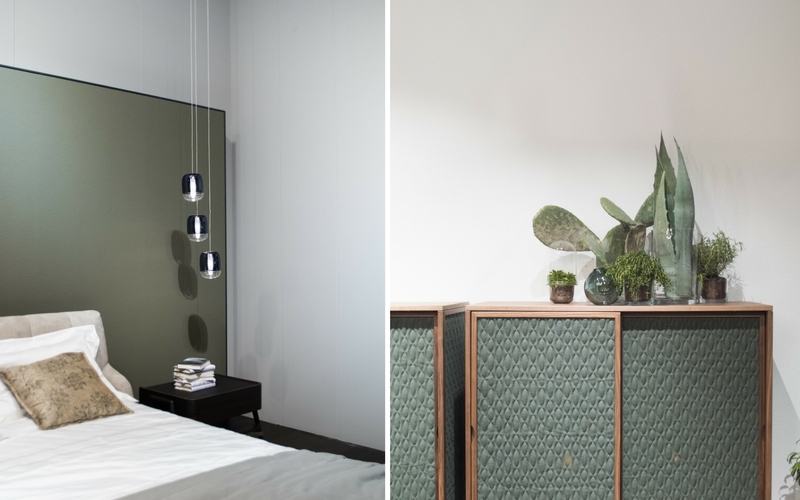 I can’t believe that one week has already passed since the incredible Milan Design Week! 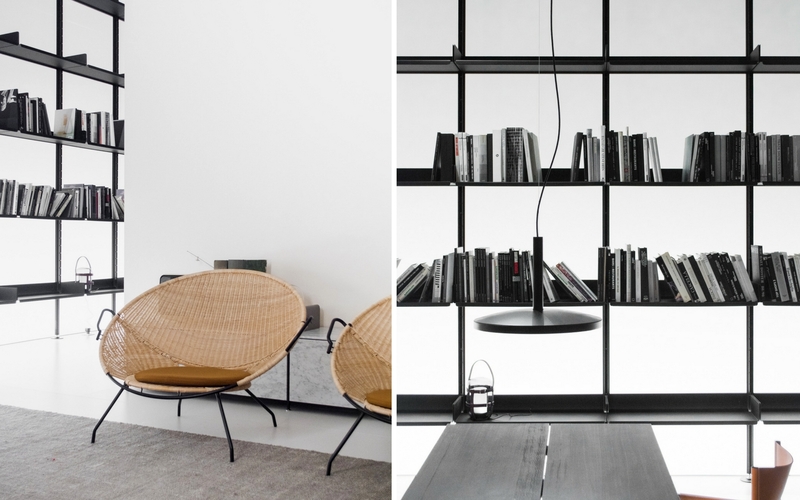 Have you visited Salone del Mobile this year? Have you had a chance to discover Italian brands? 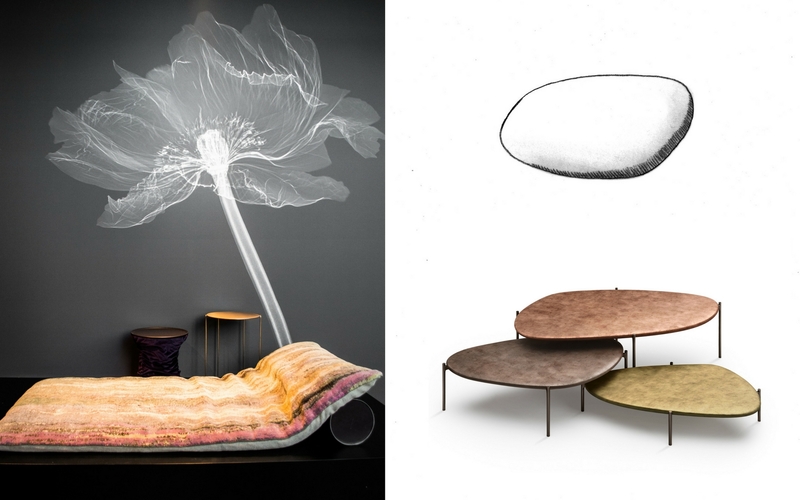 For many decades, Italy has been known as being a worldwide trendsetter in the design industry. Ever since industrial revolution, products „Made in Italy” are recognized for being elegant, distinguished, blending tradition with modern innovations, no question about that! But how does it translate into 2018 trends? 1 / NATUZZI – Retro meets nature, blending design, materials and colors to create harmonious living. Like the adventures and characters that fill novels, our homes are characterised by the stories of the people that inhabit them in a convivial and intimate way: every object defines our personality, every color sets the mood. This year’s Natuzzi collection inspired me with the gorgeous, quilted cabinets in nature inspired patterns and green shades, revealing the connection of human beings to the environement. I’m very much looking forward to see the cabinet in stores soon! 2 / WALTER KNOLL designs can be described as natural elegance, where many products have been designed with environmental or cultural inspiration in mind. For example Legends of carpets – the hand-knotted collection inspired by the landscapes and colors of Africa, new Onsa chair shaped like a flower which opens its petals in the morning and stretches toward the sun. Every piece has it’s story, every piece is unique. –Badawi pillows inspired by the lifestyle of Nomadic people, who have been seated close to the floor for a good reason: pillows are soft, adjust to the body’s shape and lend a unique feel-good atmosphere. Created with Walter Knoll hand-knotted carpets, they turn into your own, individual setting. I can definitely imagine myself snuggling in, reading or simply relaxing on that comfy piece! –Ishino Table whose organically hewn bodies look as if they’ve been dipped in liquid metal. The original beauty of naturally polished pebbles, as if shaped by wind and water, inspired the designer: large, organically hewn bodies floating on a minimal structure. Another great nature reference here! 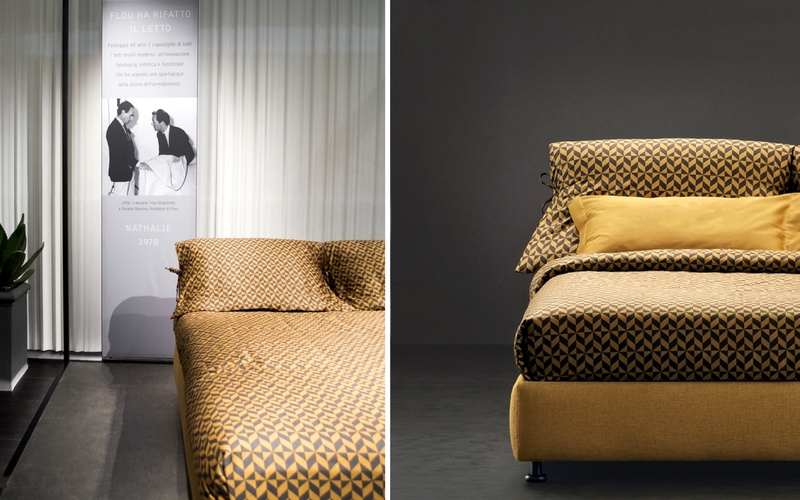 3 / FLOU celebrates 40th anniversary this year with NATHALIE 40th Limited Edition, the iconic bed produced in just 299 pieces. “The bed is a special place where the future is born, where couples connect, where families are created, where people think about their tomorrows”. The design faithfully reproduces one of the 1978 versions in which the headboard and cushion covers match the duvet cover. And for this limited edition, the fabrics were selected from the ‘Antique Gold’ range. A gorgeous retro come back, a statement which celebrates connection between past and present, creating special value. 4 / POLIFORM has always based its vision on the search for quality, by updating its lines, following contemporary lifestyle trends and promoting innovations and that’s exactly what the new collection represents. Natural look and maximum of composition variety. The modern, multifunctional and adaptable Artex kitchen design can be composed freely by assembling the various modules depending on the available space and the different functional needs. It’s interactive! (See my instagram stories from Blog Safari) Wood, natural stone create the eco-feel, whereas grow led lights and modular, modern surfaces make this kitchen modern and innovative. Audrey Mirror designed by Emmanuel Gallina – adds touch of elegance to any interior style. I love the sleek lines and possibility to either hang it on the wall or display on the floor. 5/ SCAVOLINI always offers us something more! 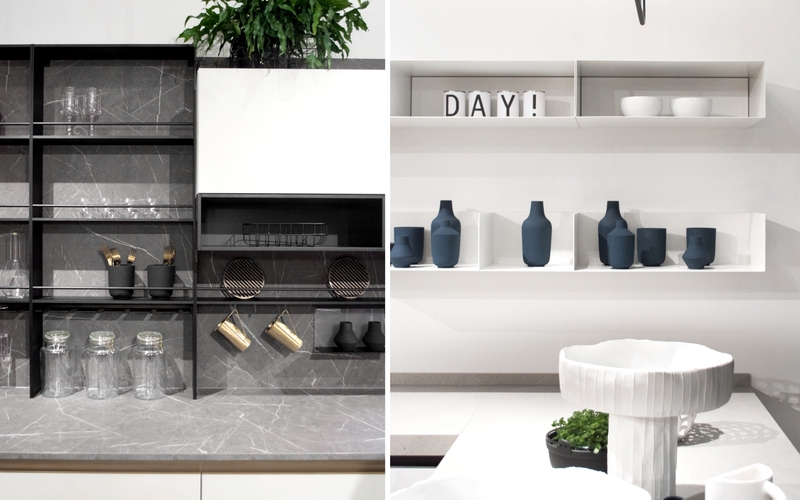 This year, two “Made in Italy” iconic brands, Scavolini and Diesel Living give life to a completely new product – the kitchen restyled with an industrial twist, a vintage spirit with contemporary styling. The kitchen consists of several functional areas with various materials. Inspiration plays the important role; not just in the elements which characterise the design, but in the very essence of the project: the care for details, the search for the perfect materials make this a “simple” design, yet a beautiful piece. Topped with handmade ceramics in imperfect shapes, the kitchens presented at Salone Del Mobile has instantly stolen my heart! 6/ KARTELL – The world is evolving and becoming smart: we use smart devices and are surrounded by smart objects, the future is also going to be smart. Kartell, which usually would be associated with plastic designs in vivid colors could not remain untouched by this revolution. Design goes beyond the conventional relationship between shape and function and becomes smart through technological innovation as regards the use of new materials. 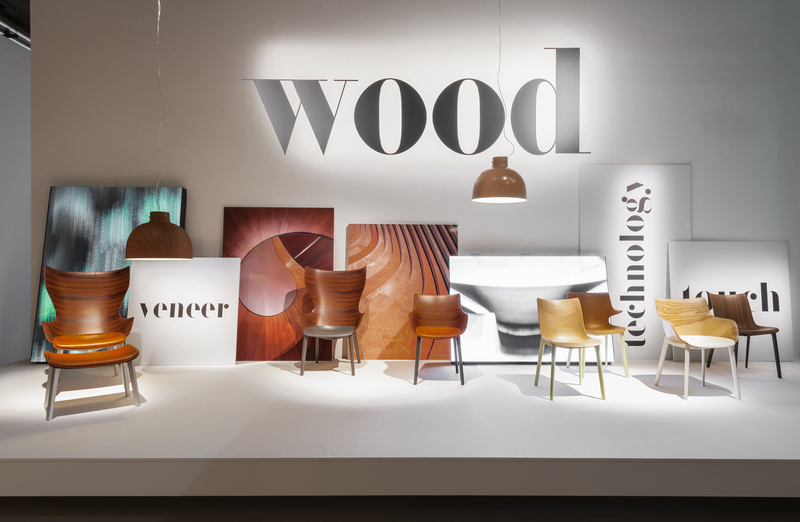 Continuous technological research allows Kartell to introduce WOOD in an absolutely innovative way: thanks to a special patent, the wood is machined with a mould that can extend the limit of curvature of the panel and create the frame of the chair with sinuous curves, as a result WOODY is born. Woody is definitely handsome! 7/ Last but not least BOFFI & DE PADOVA, my long-time favourite brand for modular and adaptable systems, celebrating minimal chic. 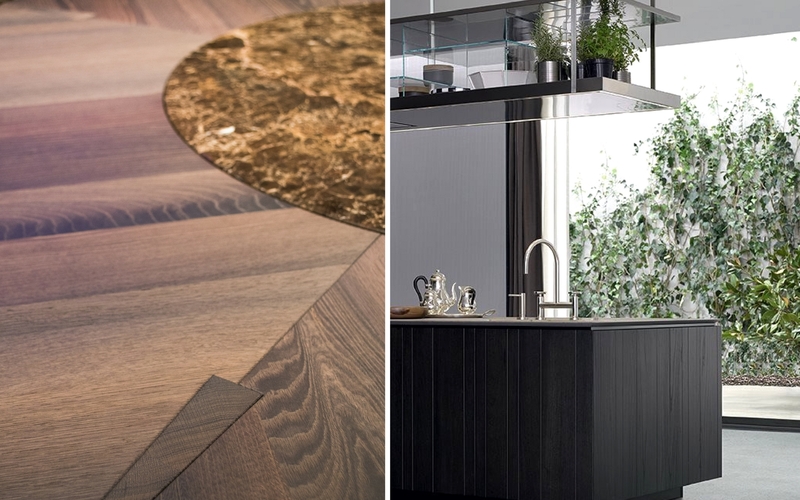 The showroom was gorgeously styled, featuring the best of Boffi’s designs. Every Boffi collection hides an idea that strikes an emotion and seizes the senses, celebrating functionality and simplicity from floor to ceiling. Below you can see Brompton system which can be customised in terms of both finishes and elements. Great to organize and divide rooms in a stylish way – forever love! It was a great experience to visit Italian brands and learn more about the design process and philosophy behind the products we see. But that wasn’t the end! After the blog tour at Salone del Mobile, we’ve been invited to join the Design Diffusion INHABITS event (watch video here), a design village set up during the Fuorisalone in the spaces around the Castello Sforzesco in Milan, where we could see how the city and home will change in the near future, meet designers and companies, try hand products and admire real houses with all the comforts in a few square meters. 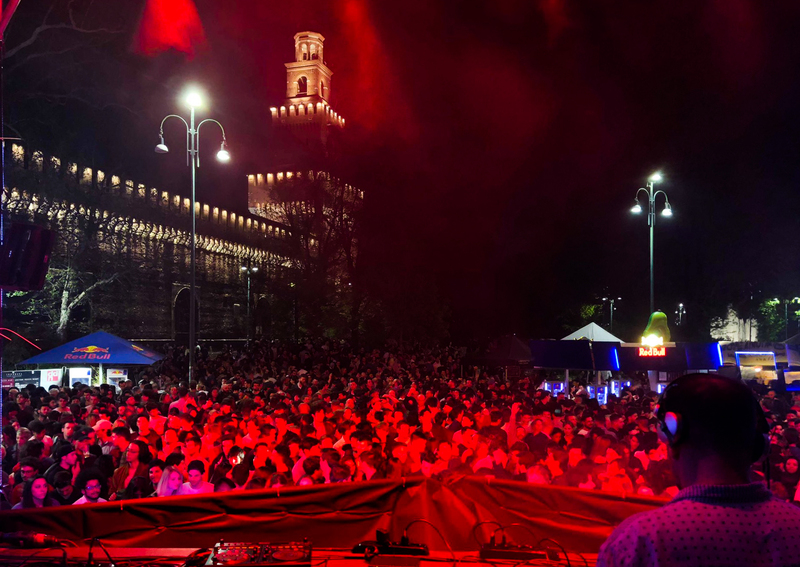 At night we joined Design Diffusion Team at the VIP backstage of a huge Festival Party with djs from Ibiza, two nights in a row! What a fantastic end to a great Design Week! Thank you Francesca & Design Diffusion for organizing the best time for us during Salone del mobile 2018! I am already looking forward to next year. 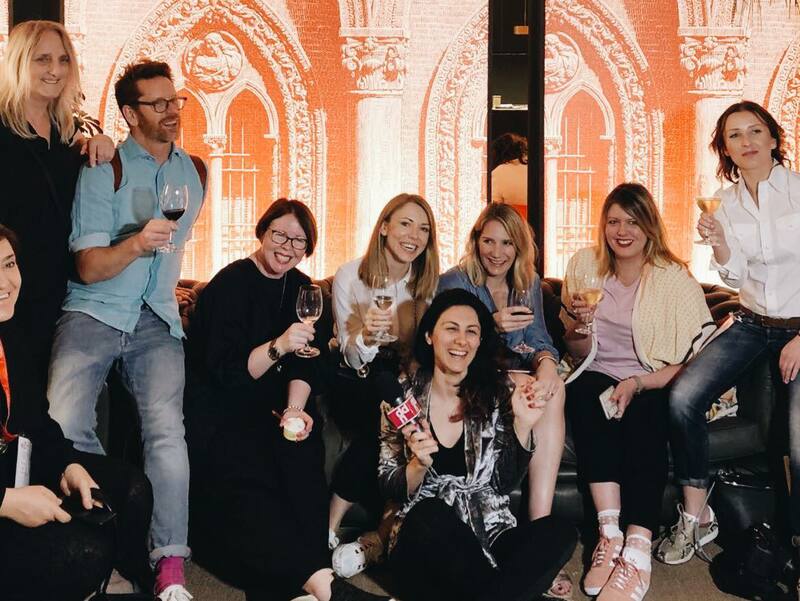 Desiree, Stefan, Mary, Niki, Holly, Ula, Claudio, Chiara thank you for being part of the dream team 2018. Photo credit: 1,2,3,5,7,9,10,13,14,16 – Agata Dimmich / 4,6,8,11,12 – brands images as listed / 15 – Design Diffusion.